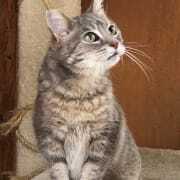 13th St Cat Rescue is looking for volunteers to help at our adult cat sanctuary in downtown San Jose. Your role would be to visit with our cats and help keep the sanctuary clean. Time commitment: one hour per visit, weekly or bi-weekly; at least three-months commitment after two training sessions.